Click image to see more color and design options. A two part epoxy for rubber tile and treads especially engineered for use below grade (porous or non-porous) and /or with heavy load traffic or heavy static loads such as hospital beds. Depending on conditions and application, spread rate is nominally 135 square feet. RH requirements are a maximum of 75% and a PH of 6 - 9. See adhesive section for more details including substrate requirements and open times. Zero detectable VOC’s. 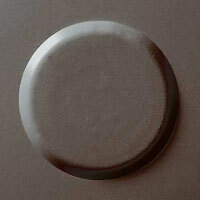 A simple to use one part adhesive for rubber tile and treads installed on or above grade. Can be used on porous or non-porous substrates in applications with light to medium traffic. Depending on conditions and application, spread rate is nominally 135 square feet. RH requirements are a maximum of 80% and a PH of 7 - 9. See adhesive section for more details including substrate requirements and open times. Zero detectable VOC’s. A simple to use nose caulk specially engineered to maximize the benefits and performance characteristics of VPI stair treads. Can be used on porous and non-porous substrates. Depending on conditions and application, spread rate is nominally 50 linear feet with a 1/4 inch bead.